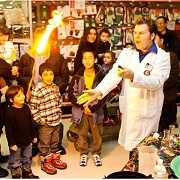 Mad Science birthday parties entertain children of all ages with exciting, high-energy, interactive shows that come to you. Be amazed by our birthday party shows filled with exciting, high-energy science experiments sure to “WOW” your child and their friends. And parents will love the fact that these super parties are hassle-free. Prices vary. 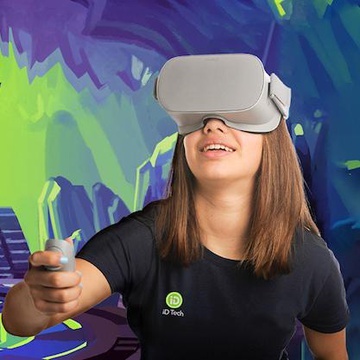 Brainvyne delivers fun-filled parties at their Palo Alto venue, or anywhere else that works for you. 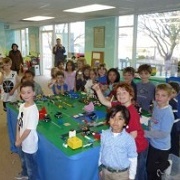 Their entertaining and enriching LEGO® themed parties that are fun and educational. 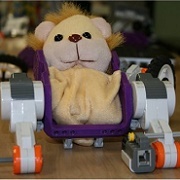 In "LEGO Zoom" parties, kids will build automated vehicles; while in "LEGO® Robotics" parties, they will learn the basics of scratch programming and build and program robots with their own code. Wizbots will come to your home and bring a full cart of LEGO NXT robotics equipment, laptops, building supplies, arts & craft materials and more to provide 90 minutes of hands-on robotics fun. 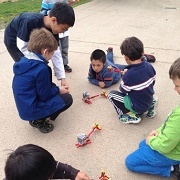 Kids receive a brief tutorial on how to work with the equipment, and then break out into pairs to design, build, and program complete working robots from their own imagination. Price Range: $250+. 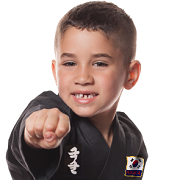 Parties at their martial arts center are more than just dropping the kids off at the fun zone...and letting them run crazy for hours. They're fun, structured events that kids brag about for months after they've ended! After the party, your kid can showcase their skills, and feel like a superstar! Price Range: $295-$495. 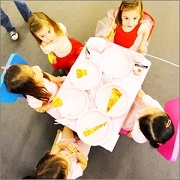 Small Fry Dance Club offers private birthday parties for preschool age children. 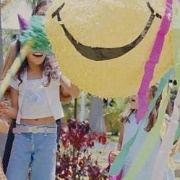 They offer have a general birthday party dance class plan, but take pride in creating a unique and special event. Choose your own music, party theme, class exercises, meals, treats, and even the dance teacher! Possible party themes include cowboys/cowgirls, princesses. ballerina, and more! Price Range: $250+. 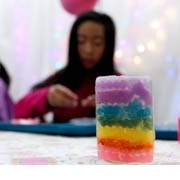 Opal'z offers special hands on crafty birthday parties for 1 1/2 to 2 hours where guests from age 5 and up can make either their own decorative soap, natural lip balm, fragrant bath salts, unique perfume, colorful candles and more! Price Range: $15-$36 per person. Whether your child is familiar with gymnastics or not, Twisters’ parties have something fun for every child. 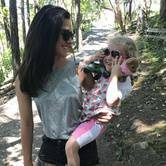 The birthday kid and guests will enjoy games, climbing, courses, and free play with an upbeat and friendly staff, followed by time in the private party rooms. Price Range: $270+. 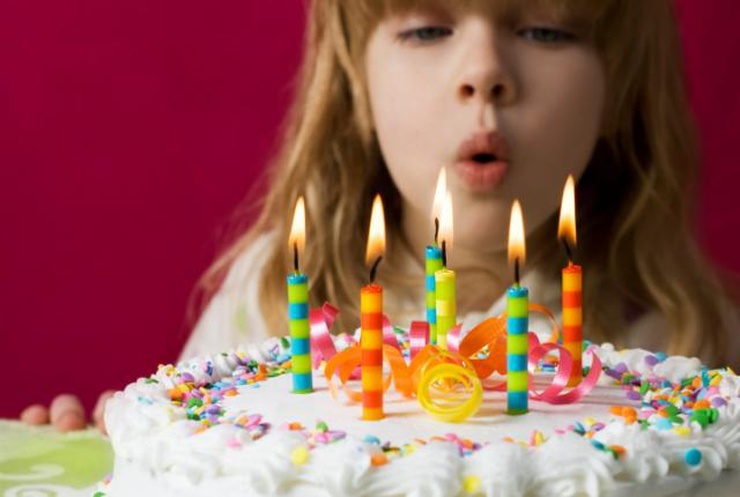 Treat your child to a fun filled birthday party at Peninsula Gymnastics! Party guests will participate in an hour of instructor led games and activities including parachute, foam filled pit, climbing wall, cargo net and trampoline, followed by 30 minutes in the party area. Gymnastics parties are a fun time for all, and no prior gymnastics experience is needed. 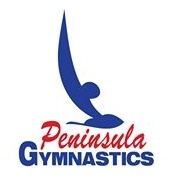 Headquartered in Mountain View, Peninsula Party provides service to the Peninsula, South Bay and San Francisco. They provide top quality party rentals and supplies for birthday parties, corporate events, church and non-profit events. Peninsula Party’s friendly staff is always available to answer any questions. Price Range: $125+. 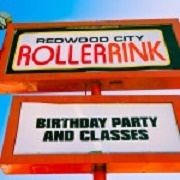 Birthday parties are offered in during Public Skating Sessions, but the facilities can be booked for private parties as well. Parties include use of rental skates, admission, soft drinks, food utensils, and the party room rental. Music selection and DJ services are available for private parties only.  Price Range: $13/person and up (during public sessions); $375+ (private sessions). When your child hosts a birthday party at Kidizens, it isn’t just a day of celebration, it is a jam-packed day of creativity and excitement. During the party, the birthday child and his/her friends build an entire LEGO city! The birthday child gets to name the city or an important landmark in the city. By the end of the party the children create something of which they can truly be proud.